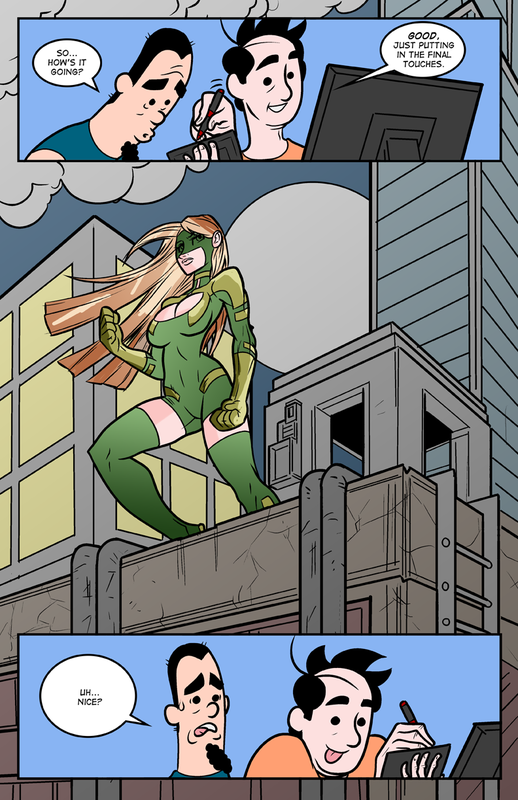 I’m not actually this bad a colourist in real life… normally. EDIT:So it seems I was too subtle on this piece. If you look closely, you’ll notice the lighting on Emerald going every which way, which is what I think is a bad job. Sorry if you didn’t notice that. Yeah, I had no idea anything was wrong with the lighting. Your skill is wasted on us ignorant pleebs! Might as well go all abstract and conceptual with the colors. Actually I usually find art more interesting that doesn’t look like anything else than when it strives for realism so that might not be a bad idea. Everything else I could forgive, but not the sun being in shadow!